Too much of Chinese food feast?! Guess it is time to freshen up the taste buds and give a break to the stomach from Chinese food. 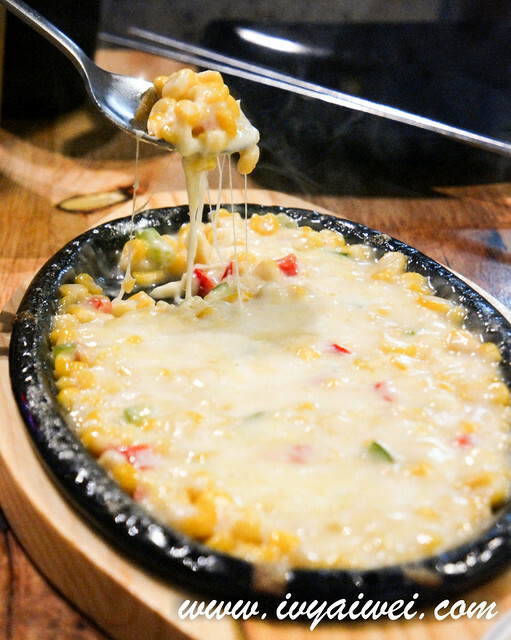 There has been hype on the Korean BBQ with cheese dip at a side for quite some times and I have yet to try it on. 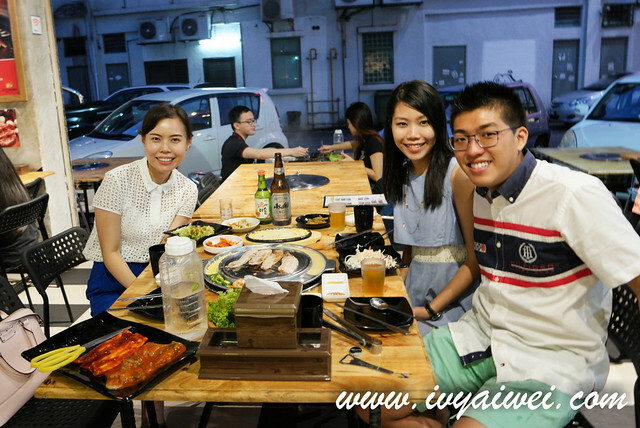 Glad to have the bff(s) around, together with her drinking partner, we checked out this place that people has been talking about. 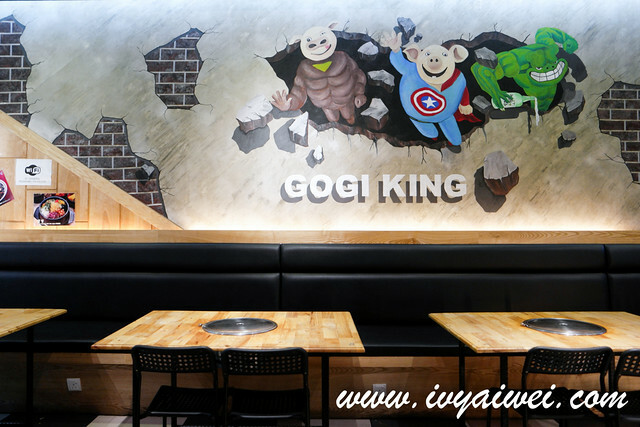 Located in Solaris Mont Kiara, it serves as a great alternative to Sae Ma Eul which is located just a stone throw away from Gogi King. 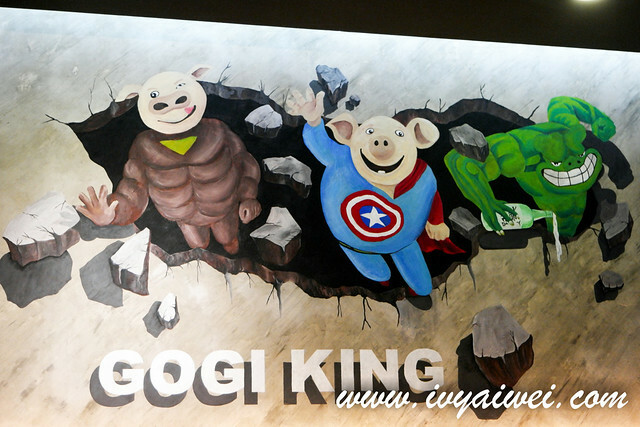 Gogi King is a no frill Korean restaurant, serving Korean BBQ fares over the hot charcoal fire. What’s more?! 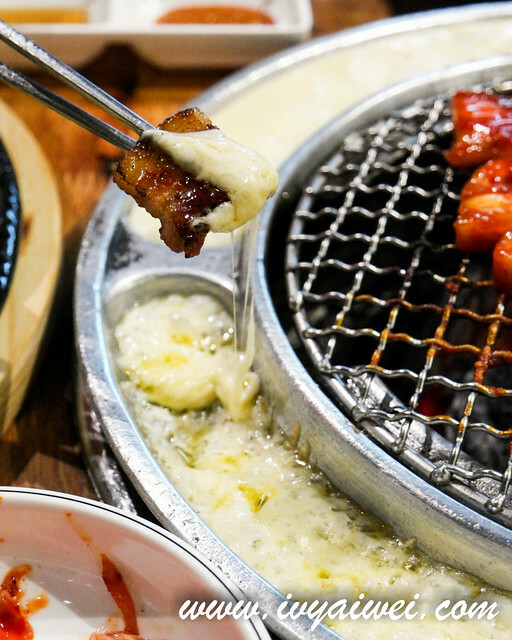 There is a 3-compartments small grill pan surrounded the grilling pan/ wire mesh for heating up the kimchi and garlic, cheese and “steamed” egg. 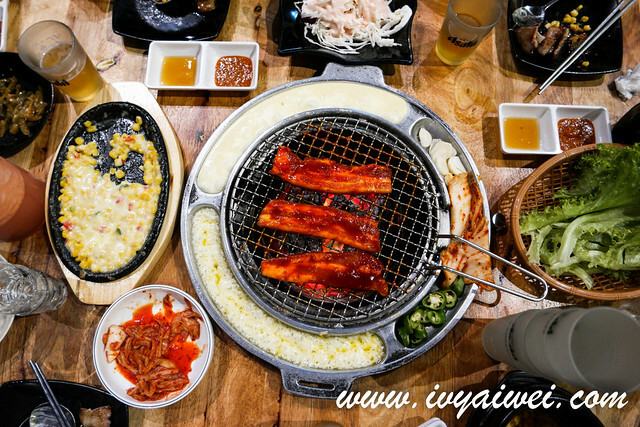 Since there were three of us, we ordered the Set C that is catered for 2 to 3 pax came with Belly, spicy belly and octopus BBQ. 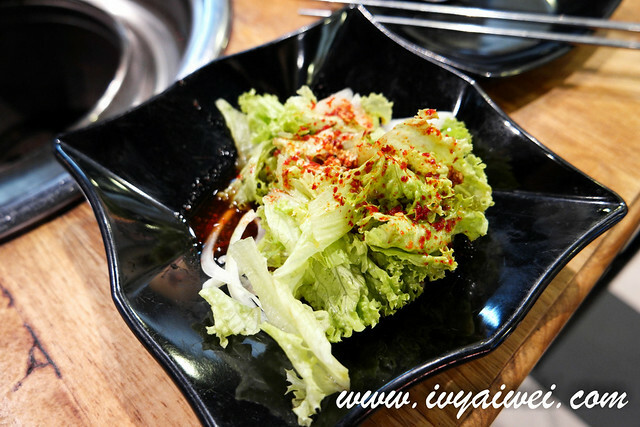 Once we had our order done, the staff will start placing all sorts of ban chan, salad and dipping sauce onto the table. Pinkish pork slices on the grilling pan, waiting it to be done. 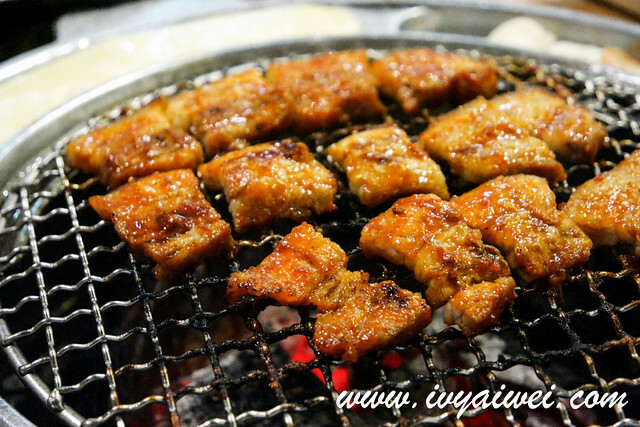 But the staffs were busy to attend us so we had to do the grilling ourselves and cutting them into pieces. 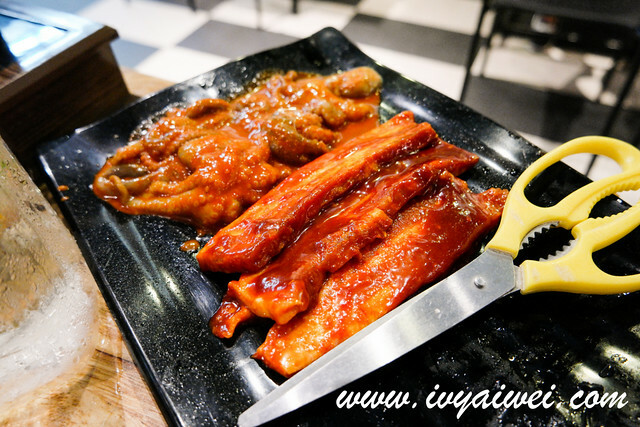 After grilling, the staff changed the mesh wire for us to continue grilling the spicy pork belly and another one for the marinated octopus. Grilled meat to go with the melted cheese. Sinful max! 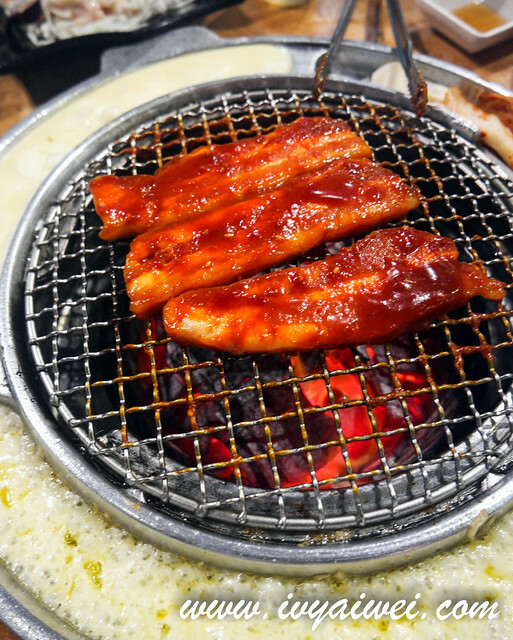 The grilled meat was good but the marinated one was just okay. They were comforting but we didn’t find a huge wow factor with the melted cheese. We were also too busy with our meat and didn’t keep dipping the melted cheese and it was dried up and burnt. 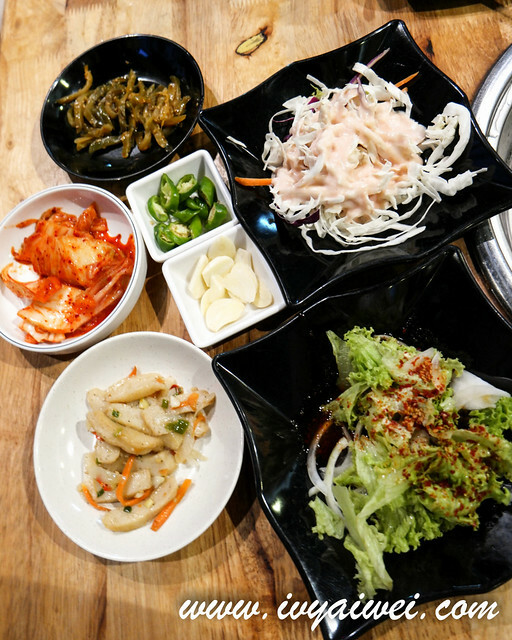 Love the grilled “steamed” egg though. Rm 5 for additional portion of cheese while the egg is FOC. Another sinful max dish. 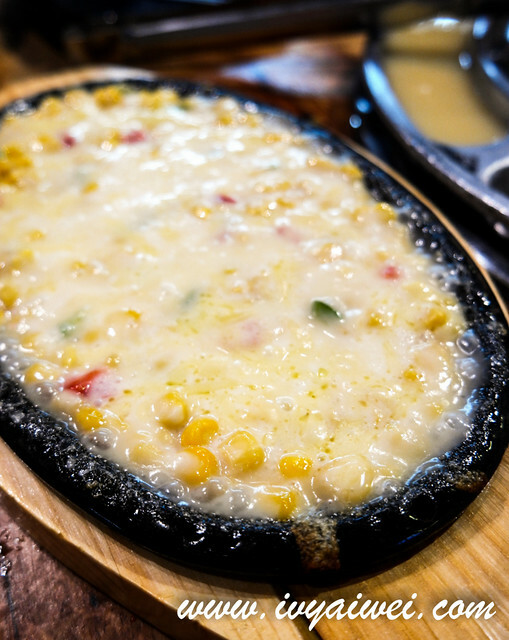 Sweet corn topped with overflowing sinful melted cheese served on a sizzling pan. Too cheesilicious, too good!!! Knowing that we still need some carbs, we had this soup that came with a bowl of rice. 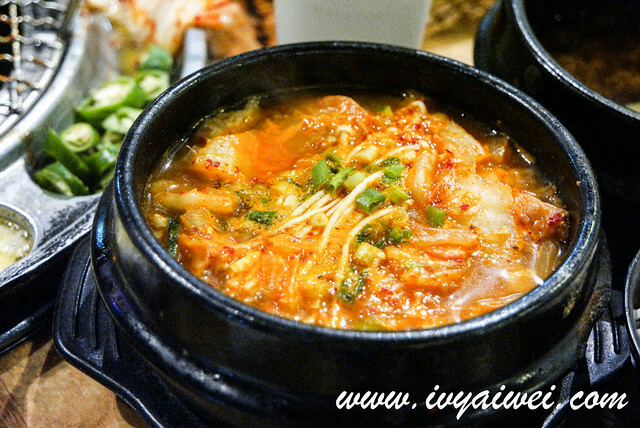 Kimchi jigae with lots ingredients in, appetizing and soothing for the evening. How can we leave out the booze while enjoying the grilled meat?!?! 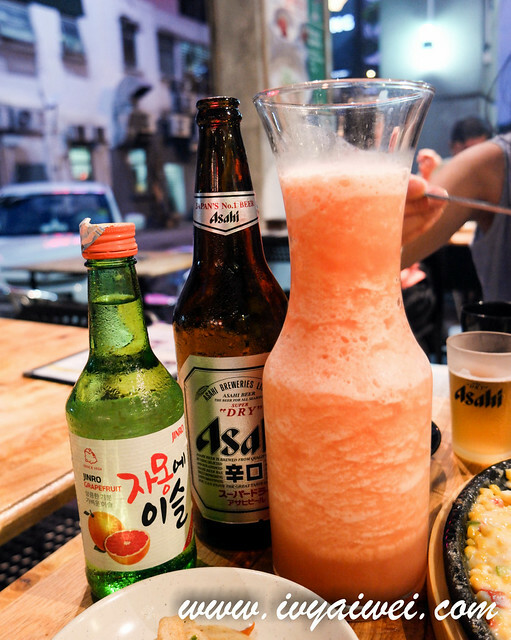 Grapefruit Soju (Rm 22), Asahi (Rm 22) and Strawberry Rice Wine. We were lucky to get the buy 2 free 1 (Strawberry Rice Wine) deal and we had tons of them. Really tons of them like a total of 12 bottles of Soju and Asahi beer. We too, managed to substitute the free Rice Wine with Soju because the grapefruit one tasted really good. Not a fan of grapefruit, they offer blueberry and pomegranate flavours too. Nah… drank until become friends with the Korean boss and manager. Good food great company. 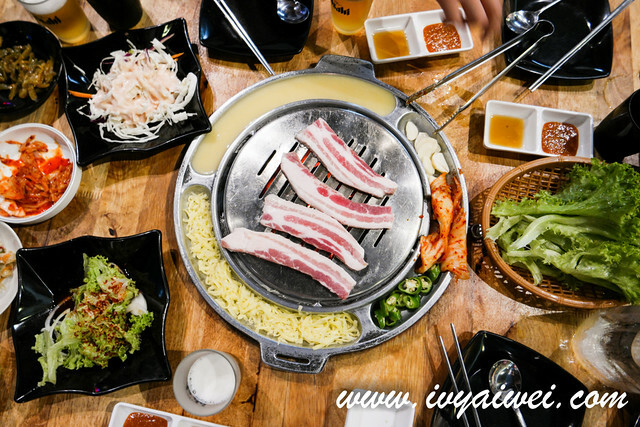 Just a note here, you will be walking out with smoky BBQ scent as the ventilation is not as great as most of the Korean BBQ restaurant. me too me too! it’s really addictive! Yes sure. i still waiting for u!!! !